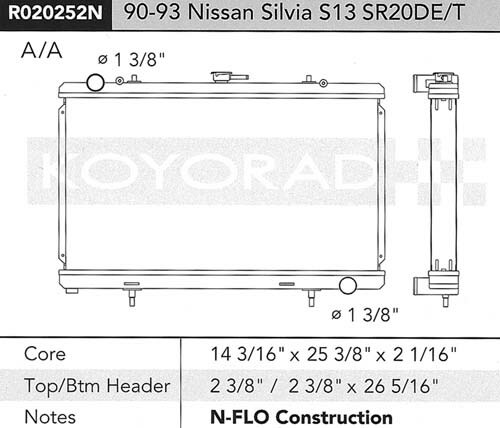 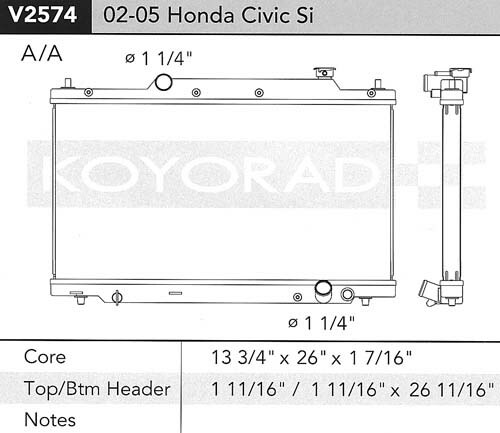 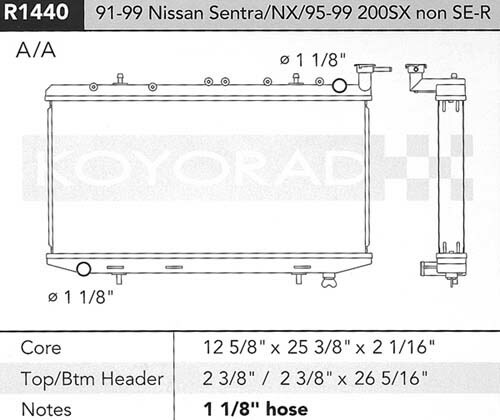 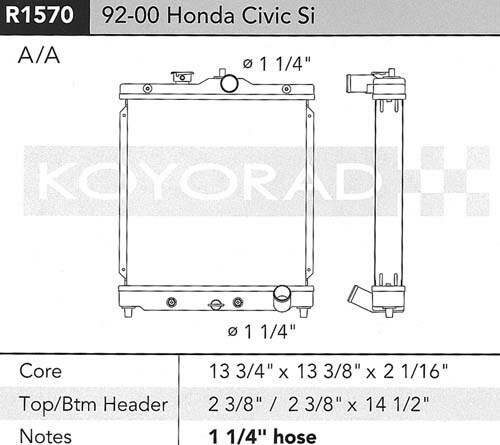 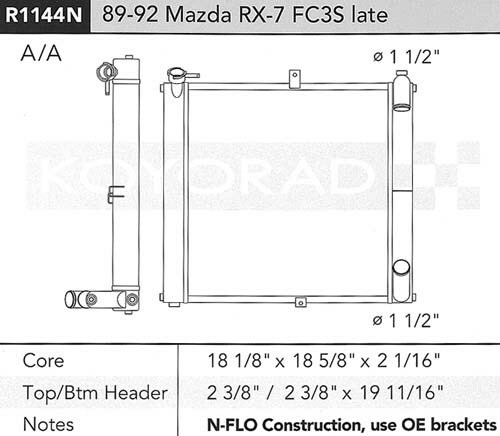 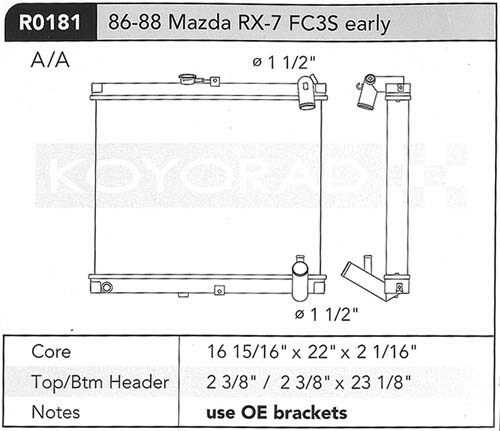 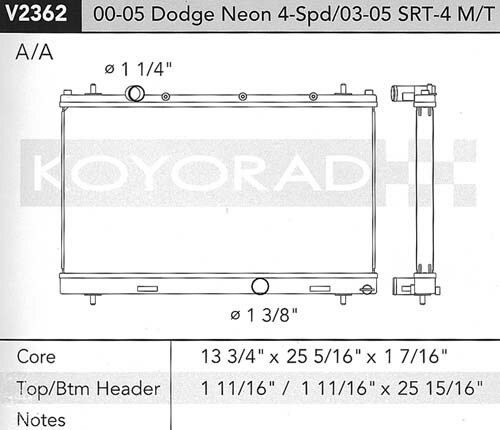 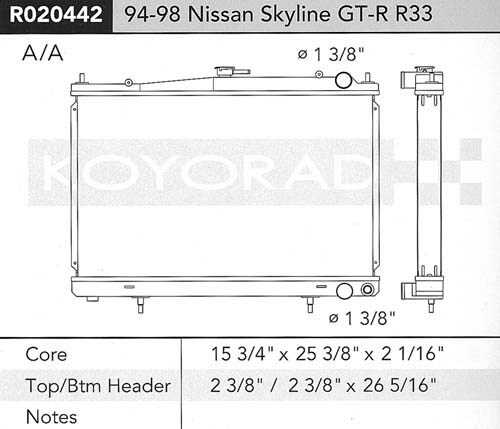 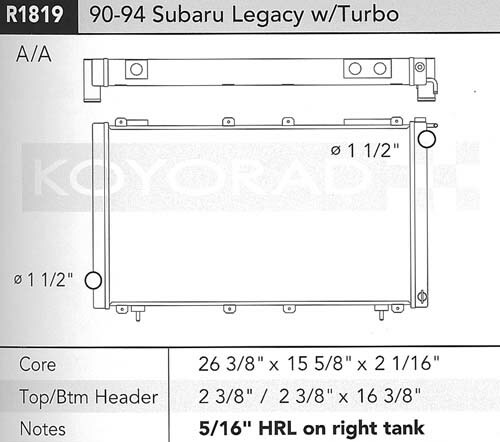 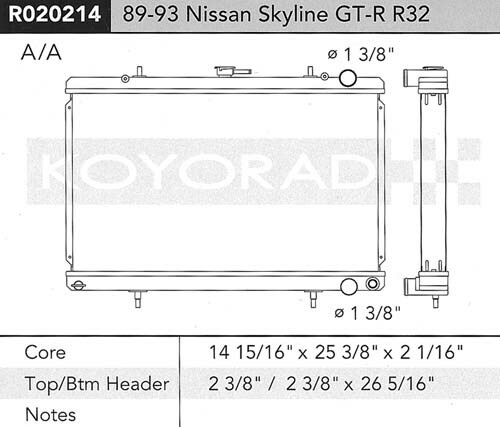 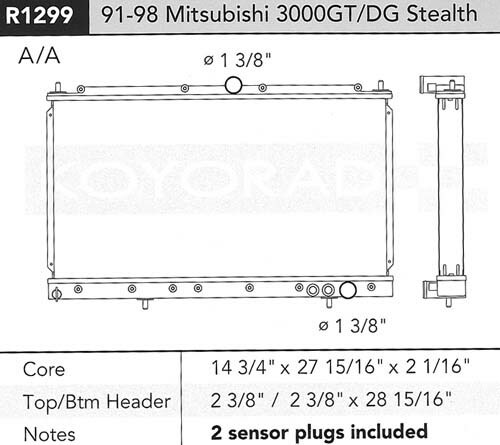 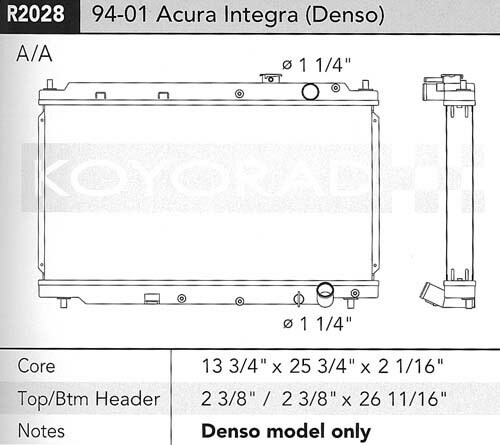 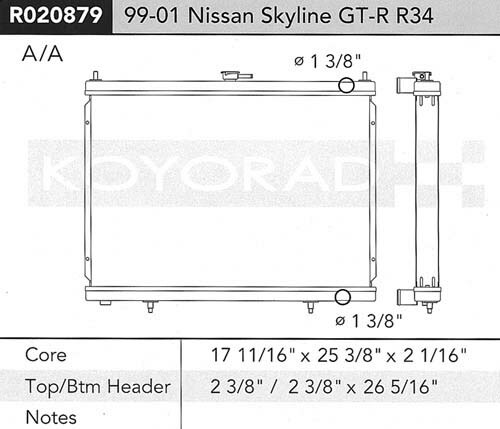 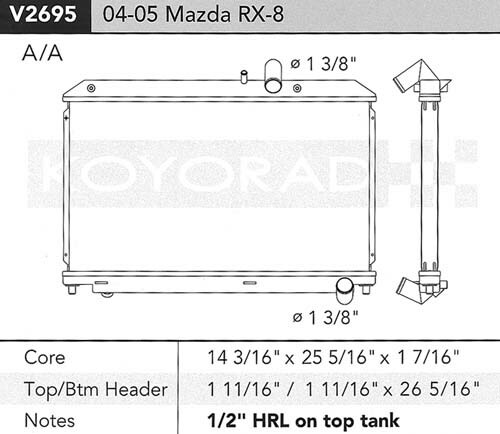 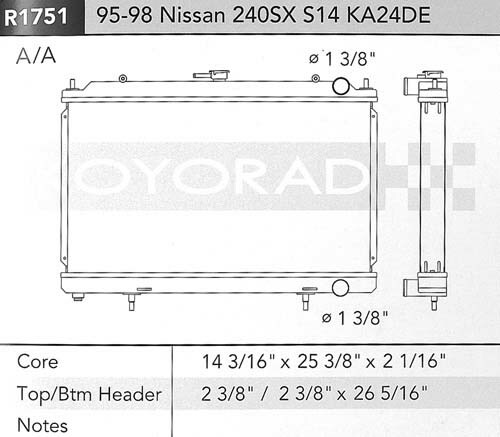 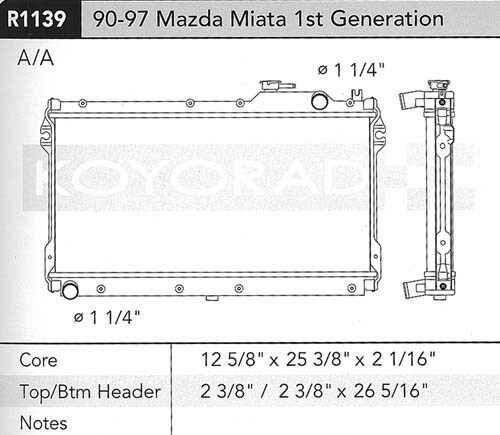 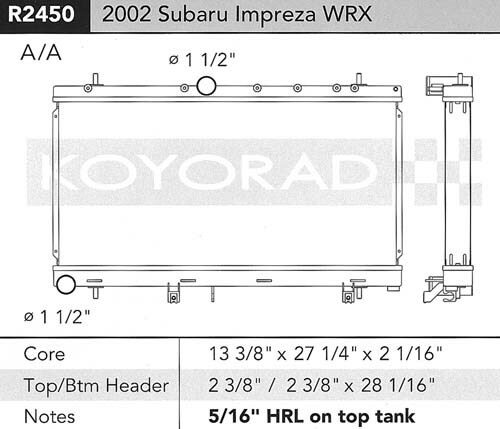 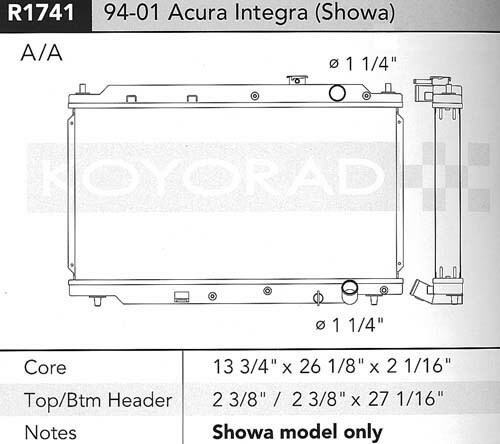 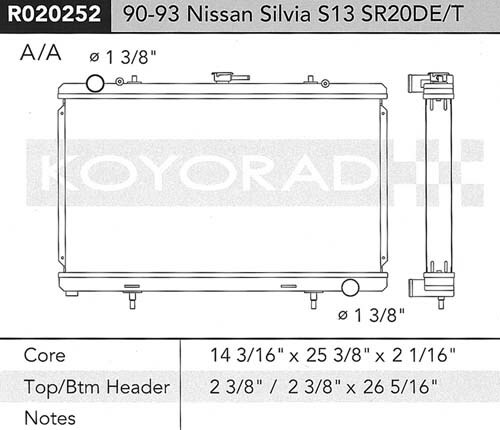 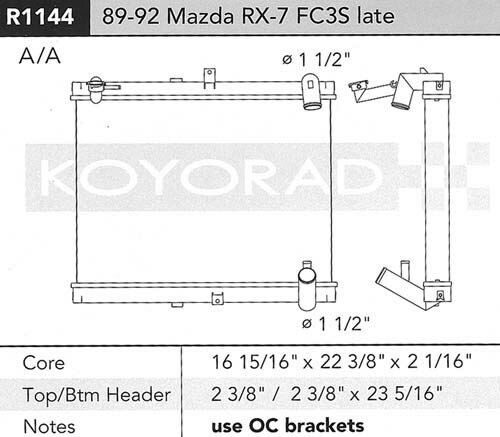 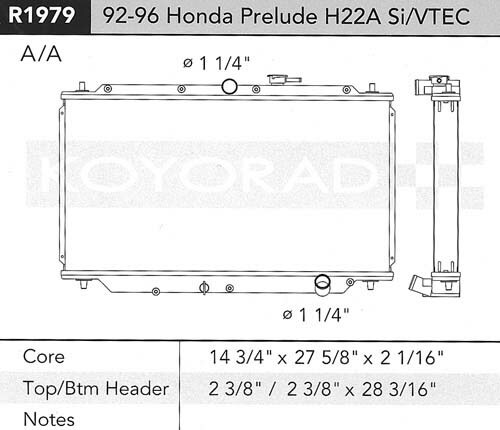 Koyorad pledges to produce the highest quality OEM replacement and racing aluminum radiators. 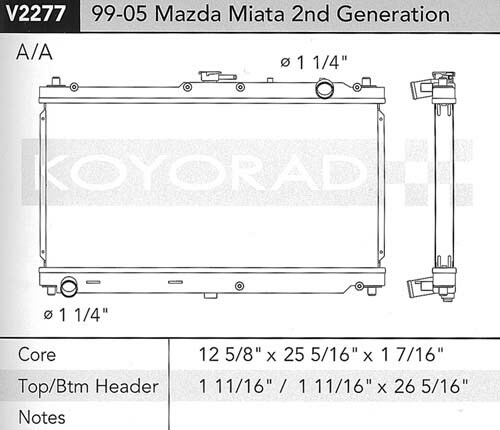 Each product is designed and tested at Koyorad headquarters in Nagoya, Japan. Besides emphasis on quality, Koyorad's product line is ever-expanding with more than 15 products developed each month. 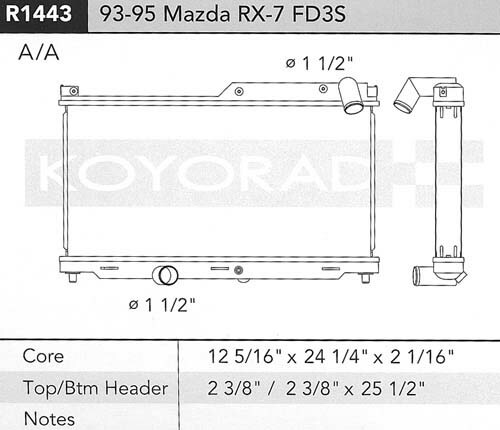 The aggressive product development allows Koyorad to have thevmost extensive product line for Japanese cars. Owing to 50 years of production experience in Japan to the Japanese domestic market, Koyorad utilizes this experience to the global marketplace. With manufacturing plants in Japan, China, and Indonesia, Koyorad is capable of meeting worldwide demands with product capability of 3500 units a month. 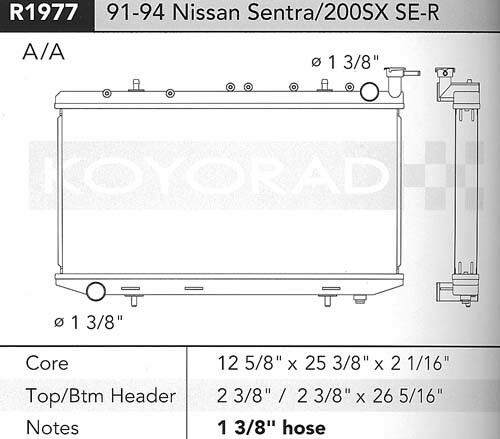 Besides high volume capability, Koyorad maintains the highest production and quality standards in all of its facilities. Each facility is ISO9001-2000 certified and extensive training of production line workers ensures that no matter which plant a Koyorad radiator is manufactured at, the quality is as good as products made in Japan. R and V Series Core - Koyorad (Koyo) Racing Aluminum Radiators are available in R-Series (53mm) and V-Series (36mm) cores to provide a greater coverage for various types of engine tuning. 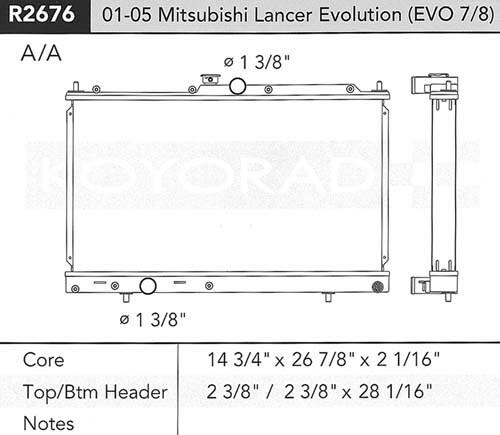 The thickness of Core is noted by a "R" (R-series) or "V" (V-series) at the beginning of the product number. 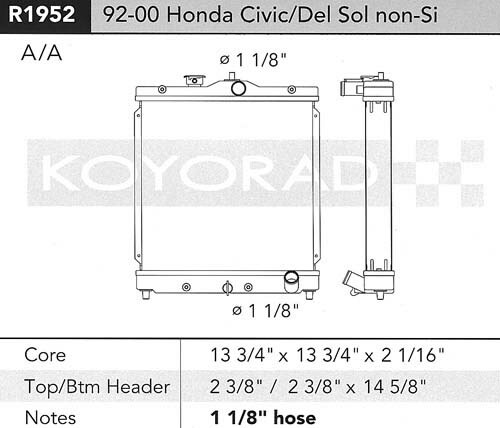 Nocolok Brazing - Each Koyorad (Koyo) Racing Aluminum Radiator has Tubes, Fins, Headers, and Brackets are brazed in a state-of-the-art Nocolok Furnace, bonding all components into an indestructible radiator. 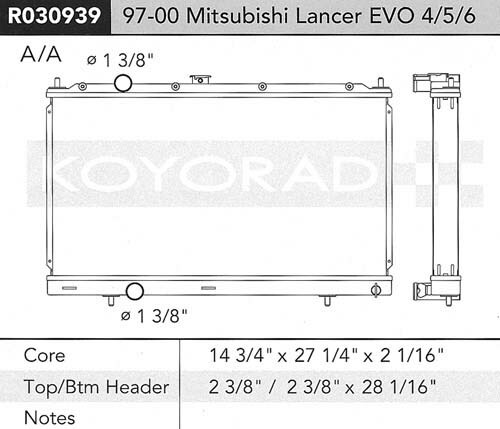 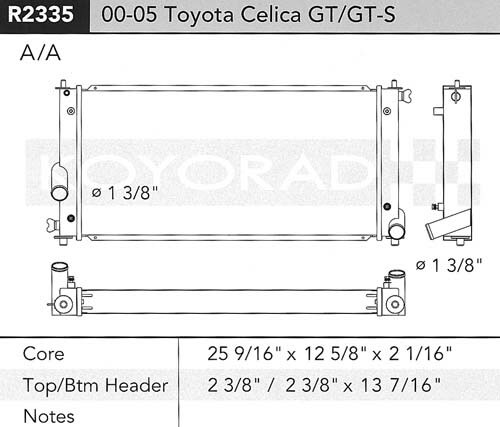 OE Specification Mounting - All Koyorad (Koyo) Racing Aluminum Radiator have fan mounts situated to OE specifications allowing for both stock and performance fans to be used. Hand-crafted Heliarc Soldering - Each Koyorad (Koyo) Racing Aluminum Radiator is TIG-welded by hand with Heliarc soldering. Heliarc soldering is the highest in industry standard for welding aluminum connections. 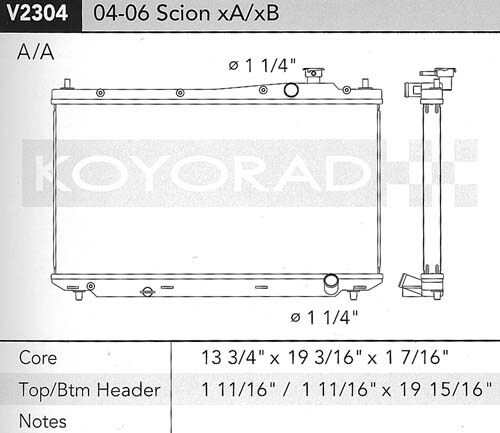 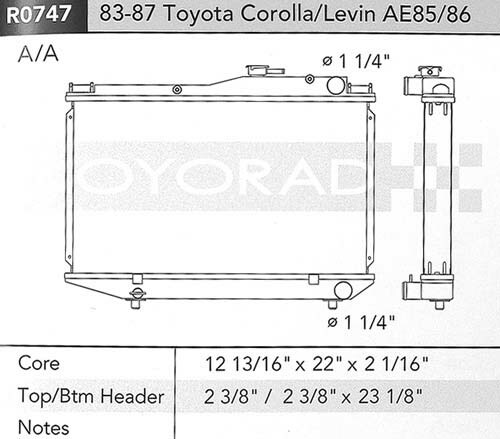 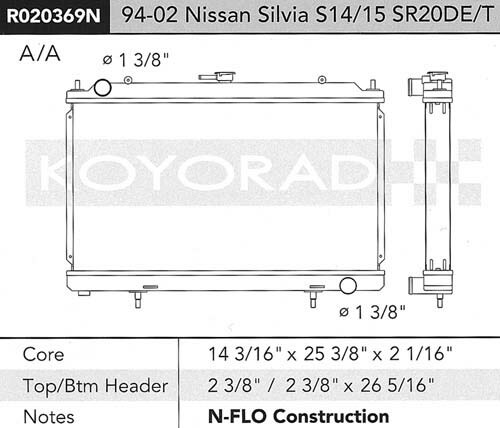 Tube and Fin Alignment - Koyorad (Koyo) Racing Aluminum Radiators are crafted under strict quality control and solid boxing result in pristine tube and fin alignment, fresh from the factory. 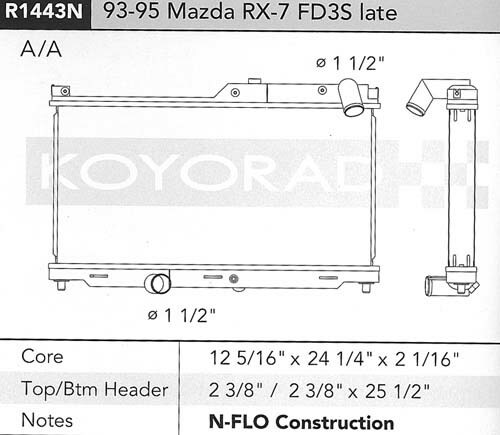 Mirror Finish - Koyorad (Koyo) Racing Aluminum Radiators have all aluminum surfaces buffed before boxing to a confident mirror finish. 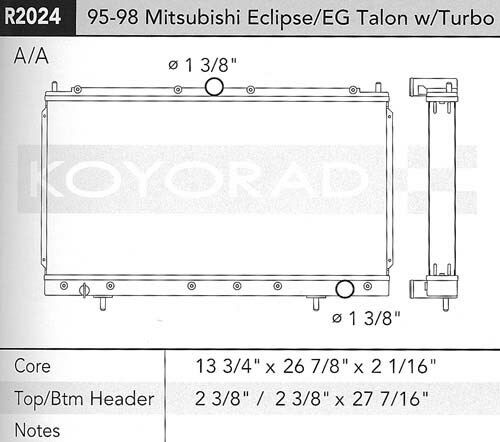 With distribution centers on both the eastern and western coasts of the United States, Koyorad is able to meet the demands of the largest market for aftermarket cooling solutions.